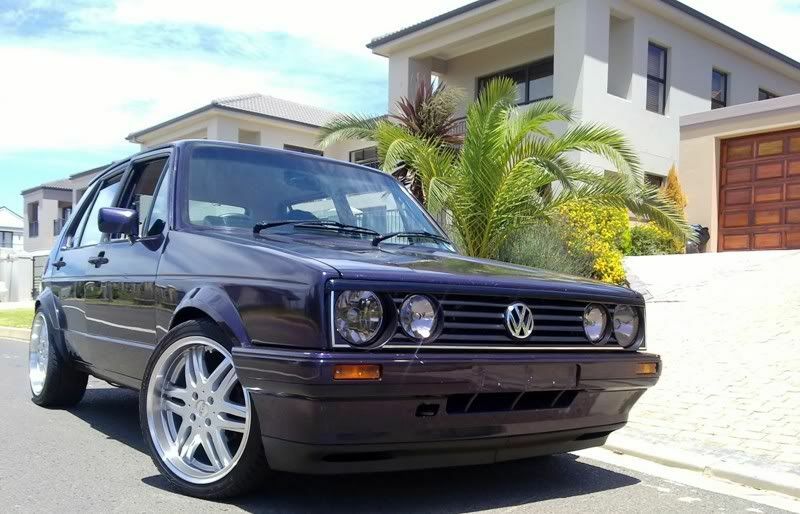 Its the blues edition, 1.6 Citi Golf. 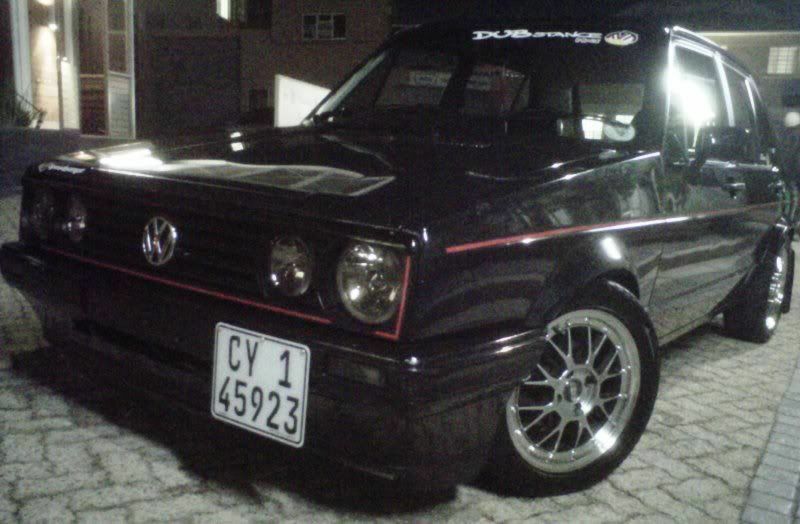 32 Weber carb, powerflow exhaust and branches, brospeed pipe. I had a pair of 17" Le Mans Evo rims on a 40mm drop, now its rocking on a set of 15" BBS LM's and much lower than before.